In their second year trying out Canadian mixed doubles, Wilfrid Laurier curling alumna Kerilynn Mathers and fifth-year lead Fraser Reid were the first team on the waiting list. The pair played together during the Ontario Curling Association Mixed Doubles Challenge, where they made it to the quarter-finals in the event. By doing so, and with all of their other points they accumulated this year, the team placed 33rd in the country. With the top 32 teams getting an invite to the 2016 Canadian Mixed Doubles Championship, in Saskatoon, Saskatchewan from Mar. 31 to Apr. 3, Mathers and Reid are the first team on the waiting list. After taking a one-year hiatus from the sport, Reid and Mathers decided to take the alternative to the traditional curling game more seriously this year. Reid said it’s a nice change from constantly playing curling with four players. Mixed doubles is an addition to the game of curling, but with some minor changes to the traditional four-person game. Instead of each team throwing eight rocks, only five rocks are thrown and two rocks are already in play. The team who has hammer has a rock in the house whereas the team without hammer starts with a guard. There aren’t any hits until halfway through the game either — each team must throw five rocks before any rocks can leave play. And of course, the teams are only pairs. Mathers said that now that curling is transitioning from more of a social environment to an Olympic sport, teams are putting a lot more emphasis on the game and trying to figure it out to gain an advantage. This was also an opportunity for the partners to curl together. Reid and Mathers played together two years ago when mixed doubles was first introduced, but they only played for fun and used the time to try and learn the new sport. Last year, they took a break from it because their schedules didn’t sync up. Mathers said one of the difficulties of mixed doubles is how much more mental preparation goes into it. She said that when she misses a shot, she has three teammates that could pick her up. But mixed doubles are a little different. When she’s in the hack by herself, she has to be able to rebound as quickly as possible without that support of teammates right away. 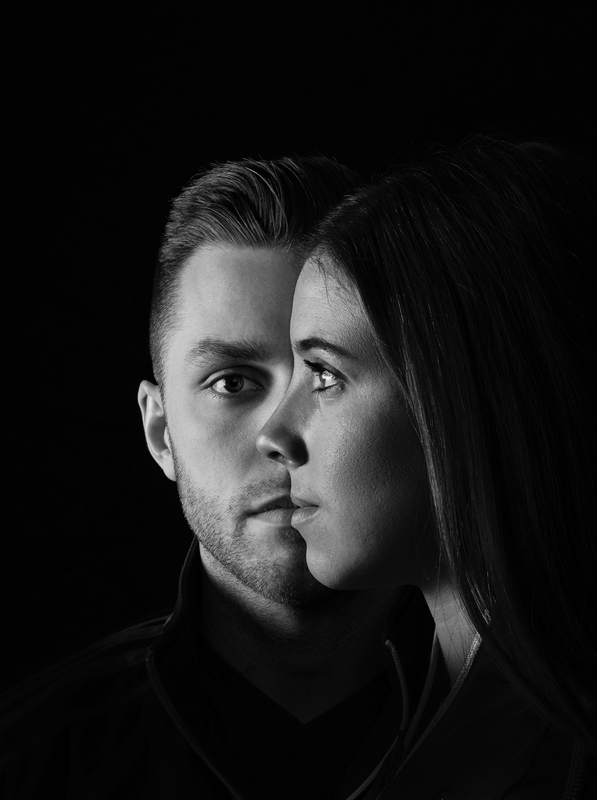 During the mixed doubles event, the duo discovered some things about each other that wasn’t as prevalent before — like Mathers’ competitive spirit. “I have a really competitive personality so, I had to put that aside a little,” she continued. Mathers continued that there were a lot of times that Reid had to save her during an end, but they found what works for them with Reid having a background in playing lead and skip and Mathers having a background in playing second and vice. “I like to say I was, but there was a lot of times where he had to save me, so no, especially because one player throws the first and fifth stone and one player throws the middle three, we found what works best for us in Fraser throwing one and five and me throwing two, three and four,” she said. So out of the two, who shoots better? Reid puts it this way — he understands the strategy better, but Mathers throws harder.